Our elevator opens directly onto the illustrious Rooftop Herb Garden with stunning 360 views of the SoHo skyline. The Roof is more than 2,600 sq. ft. with 450 sq. ft. of gorgeous herb gardens. Scents of lavender, thyme, basil, oregano and chocolate mint fill the air with alluring aromas for uniquely-themed special events. 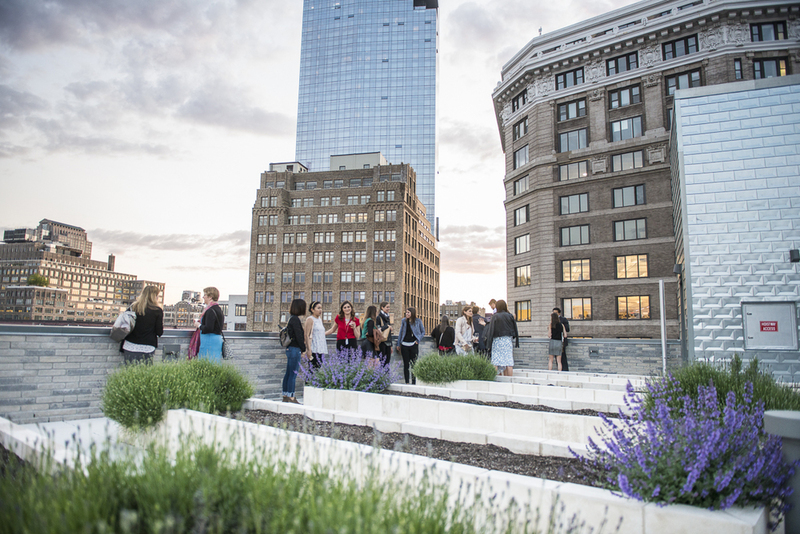 The Rooftop Herb Garden is included in the rental of the 5th Floor Event Space, adding breathtaking views and remarkable beauty to any event!